Some Pontiac Vibes are affected by Toyota recalls. If you own a car or truck made by General Motors, it's a good idea to keep up-to-date about GM vehicle recalls. Most carmakers issue recalls at one time or another, and GM is no exception. Find out how to determine if your vehicle has been recalled, and learn what to do about it. General Motors has a long history of producing popular American cars and trucks. Vehicle quality has varied over the years, and certain models are renowned for having a long and problem-free existence. Many other models have major reliability issues. Like all American automakers, GM is struggling to revamp its image and produce affordable, fuel-efficient, and reliable vehicles for today's value-conscious consumers. In December of 2009, General Motors issued a recall affecting more than 22,000 Chevrolet Corvettes. The recall addressed a problem with the removable roof panel. If the roof were to detach during operation, it could strike vehicles traveling behind the Corvette, potentially causing a serious accident.This recall affected Corvettes made between 2005 and 2007. In January of 2010, GM recalled more than 70,000 Pontiac Vibe cars, which share a platform with the Toyota Matrix. 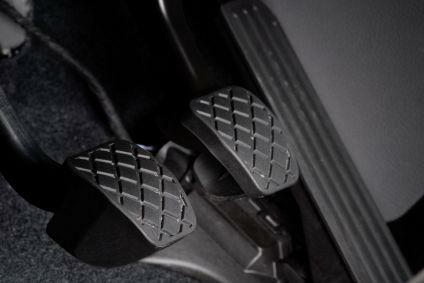 In affected vehicles, the accelerator pedal could become wedged beneath the driver's floor mat, causing unintended acceleration and possible injury.This recall included Pontiac Vibes made between 2009 and 2010. Has Your Car or Truck Been Recalled? Wondering if your car or truck was affected by these or other recalls? It's very easy to find. In the event of a recall, most owners will receive a notice from the manufacturer. However, if you purchased your car used or the automaker does not have your address for some other reason, you may not be included in the mailing. The best way to be sure you haven't missed a recall event is to take a proactive approach. You can check if your car has been recalled by searching on the National Highway Traffic Safety Administration Office of Defects Investigation website. Immediately contact your auto dealer if you suspect your vehicle has been recalled. They can confirm whether your specific vehicle is included by looking up your vehicle identification number (VIN). You can usually find the VIN on the driver's side doorframe. Keep careful records. If your dealer replaces a recalled part, be sure to save your paperwork. This could come in handy when you sell your car, since it will provide proof that the problem was addressed. If you feel that your vehicle should be recalled for a safety issue, you can alert the Office of Defects Investigation by filing an official complaint.